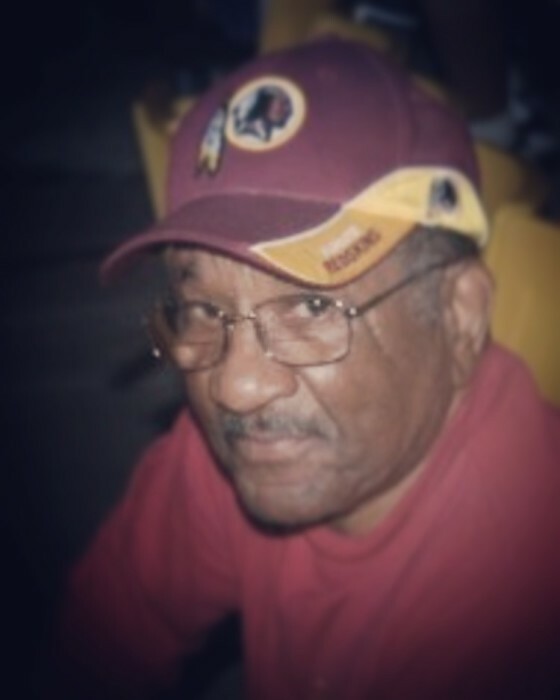 James E. Daniels, Sr. of Pasadena, MD (84) was called home on Friday, January 25, 2019. Born on April 2, 1934 in Washington, DC, he was the son of John H. Daniels and Clara L. Daniels (Jenkins). James, also known by friends and family as Big Jim or Uncle Pete, grew up and attended school in DC and spent time as a young man in the U.S. Air Force. During his time in the service, James had the opportunity to travel to Germany and several military installations across the northeastern United States. His career was highlighted by 40+ years of service as a Police Officer for the Federal Protective Service; patrolling federal buildings throughout Maryland, DC, and northern Virginia and serving on special assignments across the country. James was a beloved husband of 32 years to the late Barbara Daniels (Behrends). He is survived by two sons, James Jr. of Lake Charles, LA and Anthony and his wife Robin of Pasadena, MD; his grandchildren Melodystar Dorsey and husband Michael Jr. of Severn, MD, and Lauryn, Jessica, and Anthony Daniels, Jr. of Pasadena, MD; and a host of beloved nieces, nephews, and extended family. A viewing will be held at Donaldson Funeral Home, P.A. (313 Talbott Avenue, Laurel, MD 20707) from 11am – 12pm on Monday, February 4, 2019. The homegoing service will also be held at Donaldson Funeral Home, beginning at 12pm. Interment immediately following the service will be held at Maryland National Memorial Park (13300 Baltimore Ave, Laurel, MD 20707). Flowers are gratefully welcome or you may make a memorial donation to the Alzheimer’s Foundation of America at: https://alzfdn.org/.